The Healesville Sanctuary is set in natural Australian bush land to give you an authentic Australian wildlife experience: from Kangaroos to Wombats, Koalas to Echidnas, Platypus to Reptiles, and Birds of Prey to Emus. It is showcasing more than 200 Australian animals in their natural habitat that you get to be amongst, as you wind your way around the Sanctuary pathways. 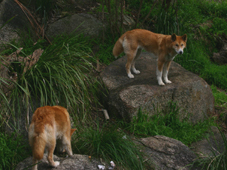 There is a high country exhibit where you can see the Dingos roam. In the outdoor amphitheatre there are Birds of Prey swooping over your head and showing off their hunting skills, and other shows with a great assembly of many Australian parrots. The Sanctuary also has the best Platypus display ever, where you get to see these fascinating beaked mammals close up. Did you know that these are mammals that lay eggs instead of giving birth to their young? They are also one of the only venomous mammals with the male having a venomous spore on its foot. 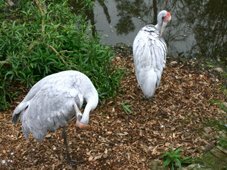 Then there are the Red Kangaroos, Wallabies, Wombats, Tasmanian Devils and Koalas, large aviaries with many Australian birds you would never otherwise get to see, as well as Australian reptiles and Frogs. You can get into this Melbourne zoo much cheaper with the Melbourne Sightseeing and Attraction Pass. This is available for short stay tourists, and also for locals who can visit five Melbourne attractions at much reduced rates over a 3 month period. The Sanctuary is in the Yarra Valley about 1 hour northeast from Melbourne. You can get there by car along the eastern Freeway and Maroondah Highway, through Ringwood and Lilydale to Healesville. To get there by public transport, take a train to Lilydale and from there by bus to the Sanctuary. You can also take part in one of the organised Yarra Valley wine tours that includes the Sanctuary at Healesville in their itianery. The Healesville Sanctuary is also an Australian Wildlife Health Centre that treats and rehabilitates injured Australian animals. It also conducts important wildlife research and endangered species conservation programs. It was founded in 1921 to study native fauna for the purpose of medical research, it was a tourist destination renowned for its fauna in the 1940s, and became a wildlife sanctuary in the 1970s. 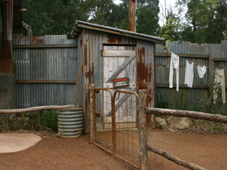 The Healesville wildlife sanctuary is an accredited Eco Tourism provider.